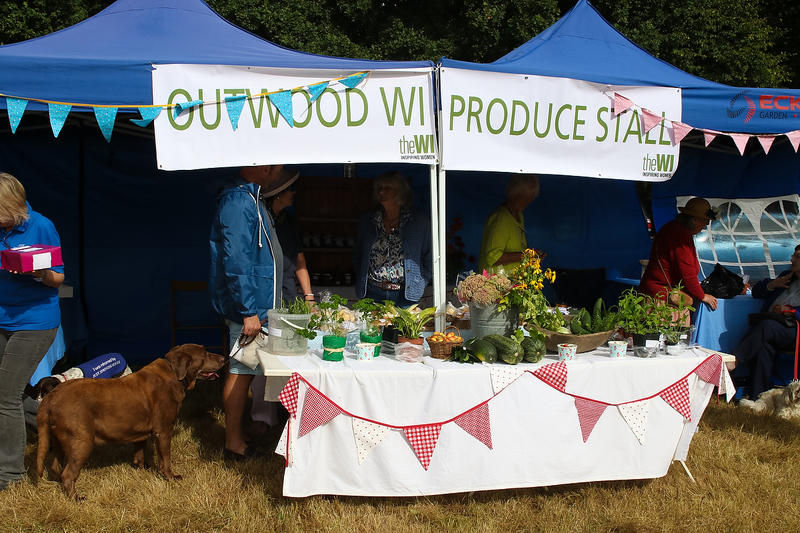 Hundreds of visitors flocked to the Outwood Village Country Show at the weekend and joined Susy Radio as they enjoyed a great afternoon of live music, dog shows and bird of prey displays in the Surrey countryside. 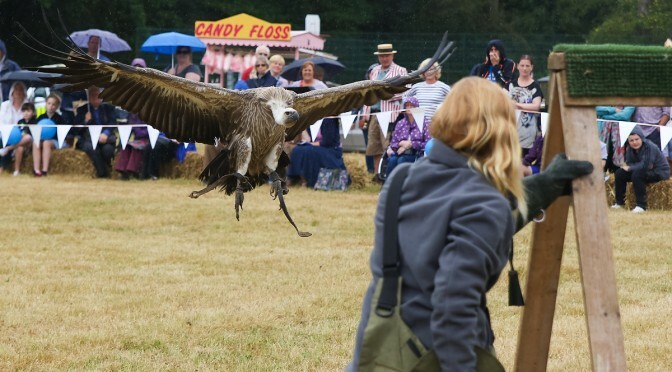 The Southern Golden Retriever Society’s Display Team put on a stunning show of precision dog handling in the main show ring and later in the afternoon youngsters gasped as low flying birds of prey swooped just inches above them during the display by The Hawking Centre. 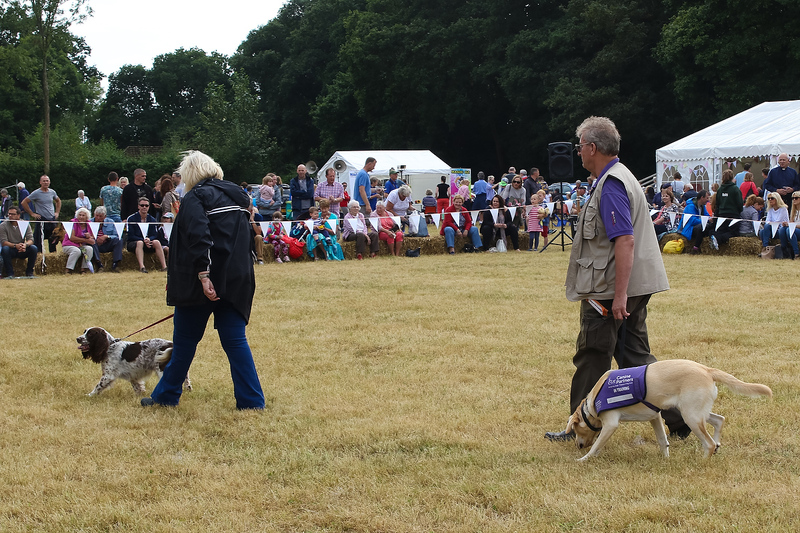 Musical entertainment was provided by the excellent Lingfield Silver Band before the day took a slightly more competitive turn as the Dog show entrants entered the main ring to battle for the chance to be the best in show. 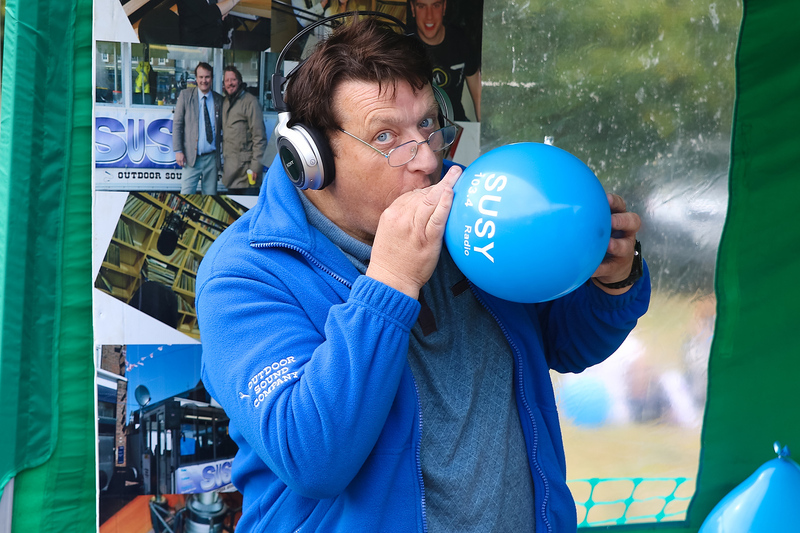 Susy Radio broadcast live on 103.4FM from the showground for three hours as Neil Munday entertained and chatted to stallholders and vistors at the show. 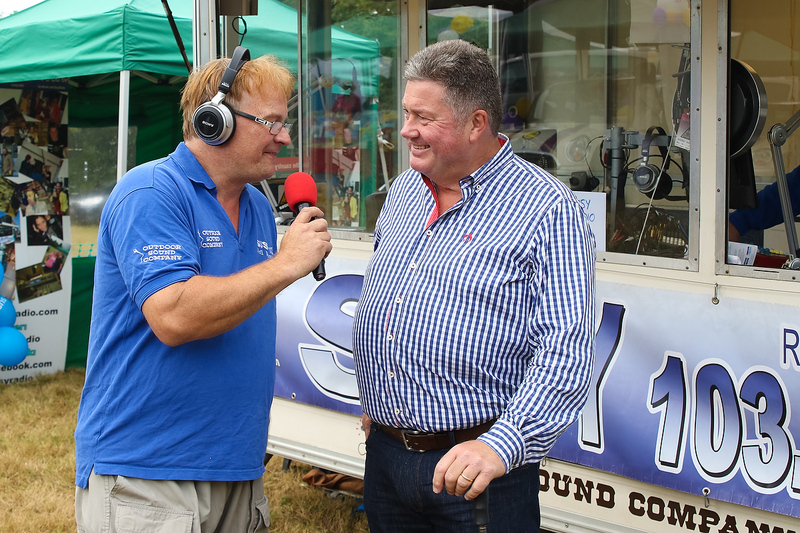 Hop Stop from Oxted provided the chance to sample some of the local beers they sell and Neil Munday enjoyed a live on air beer tasting session as he chatted with Hop Stop’s James Rushforth. 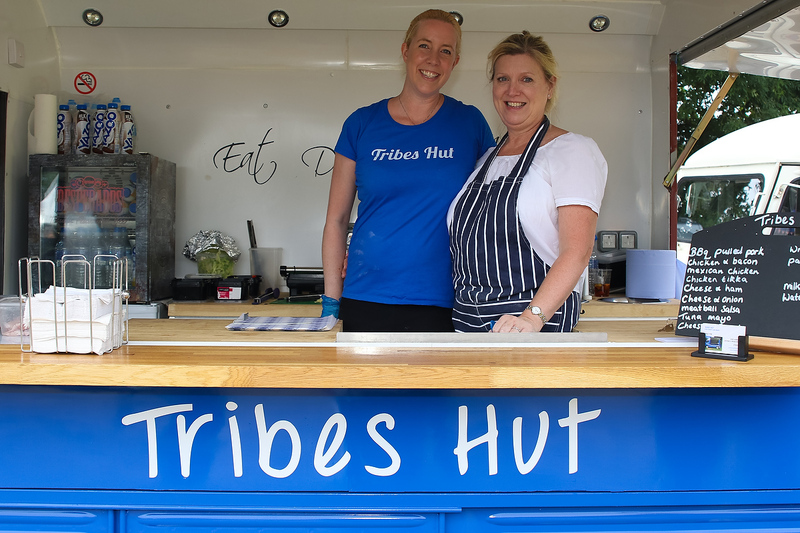 Natalie Tribe, owner of Tribe’s Hut caterers, selling posh Wraps and Panini’s from a Vintage Citroen HY Van gave Neil the chance for another live tasting session for the Susy Radio listeners as he tucked into a freshly made pulled pork panini. 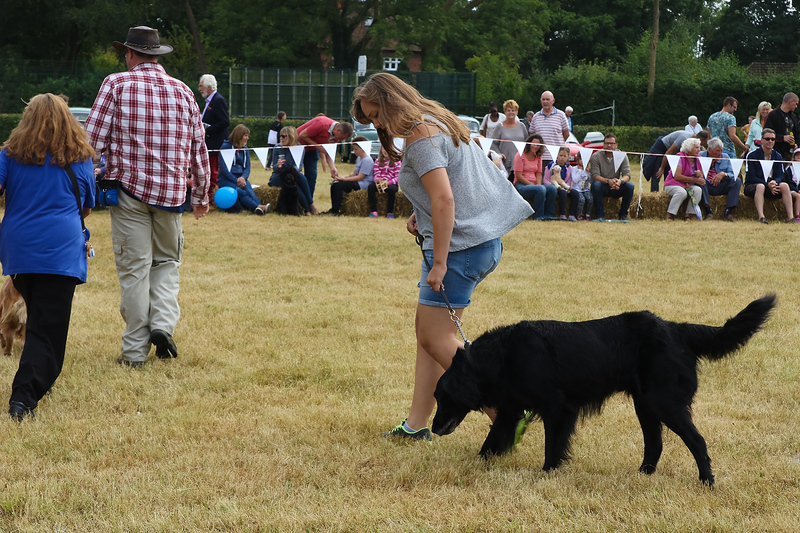 Canine Partners who partner people with physical disabilities to specially trained assistance dogs were among the many charities and local community groups at the show and Beverley chatted to Susy Radio about the in depth training given to the dogs by Canine Partners. 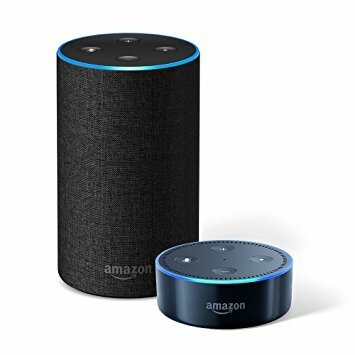 Neil also chatted live on air to Carolyn Last who is the President of the Outwood Women’s Institute as well as volunteers from Just Springers Rescue and the British Legion. 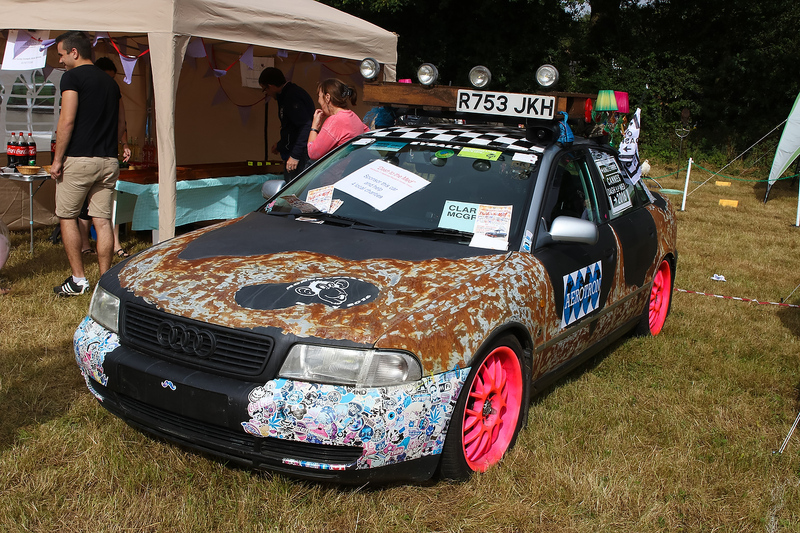 A major attraction on the East Surrey Domestic Abuse Services (ESDAS) stall was a partly rusting Audi car with a wooden pallet, adorned with various styles of lights, attached to the roof and a disco style mirror ball hanging inside. 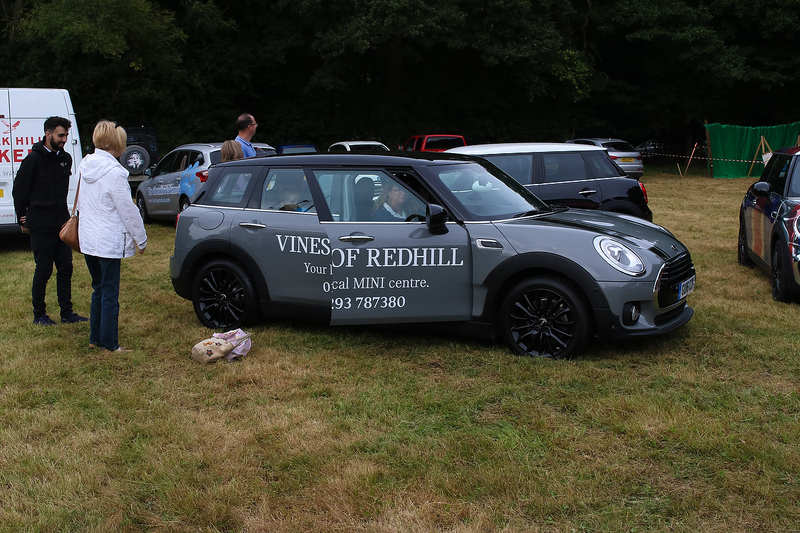 This is one of 16 cars that are leaving Reigate later this month in a “Dash to the Med” in an attempt to raise £50,000 for four charities including ESDAS. 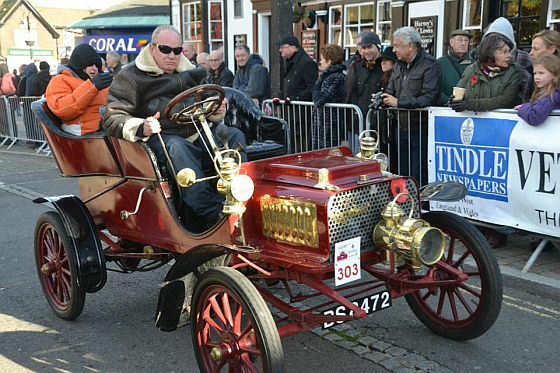 Volunteer Janine from ESDAS explained on air that none of the cars have cost more that £500 and that Rock star Bruce Dickensen of Iron Maiden fame will be one of the co-drivers. Other charities that the drivers are raising money for are Variety, The Children’s Trust and the Reigate Grammar School Foundation.